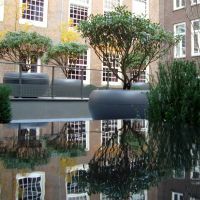 Aladin is the largest planter in IOTA’s ranges of commercial plant containers, and is featured here at Sofitel Amsterdam the Grand. 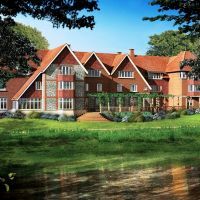 IOTA’s Boulevard and Slate planters are selected for a luxury retirement community in the heart of Oxfordshire. 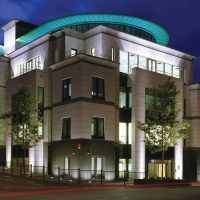 Custom granite planters from IOTA are specified for new landmark office building in the financial centre of Guernsey. 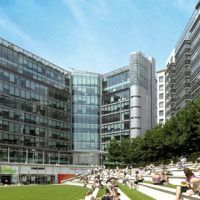 Sweeping lines of granite planters create a sense of arrival at the award-winning Paddington Central development. 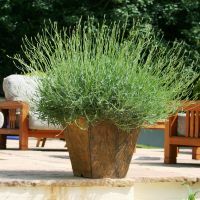 IOTA’s Fresco planters feature in a contemporary design scheme for a residential roof terrace. 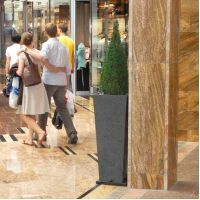 MEPC commissions large custom plant containers suitable for trees, for the Milton Park development. 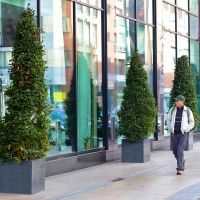 IOTA’s granite planters set the tone at the recently refurbished and rebranded 5 star Savoy Hotel Limerick. 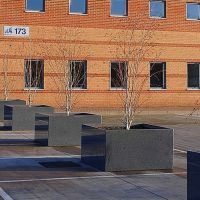 IOTA’s granite planters feature in one of the largest mixed use waterside regeneration developments in the UK. 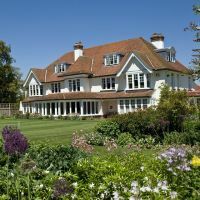 IOTA’s natural stone planters are selected for this luxury country house hotel in the South Downs National Park.